When Team EJP (Everett J. Prescott Inc.) came to us, they had six sister companies in related industries. However, the branding failed to leverage this connection - not one of the sister company logos had an element within it that linked it to the parent company. In addition, the color schemes and fonts were inconsistent with each other, creating an incohesive appearance when presented together. Our first goal before moving forward with developing their inbound marketing platform was to resolve this issue. 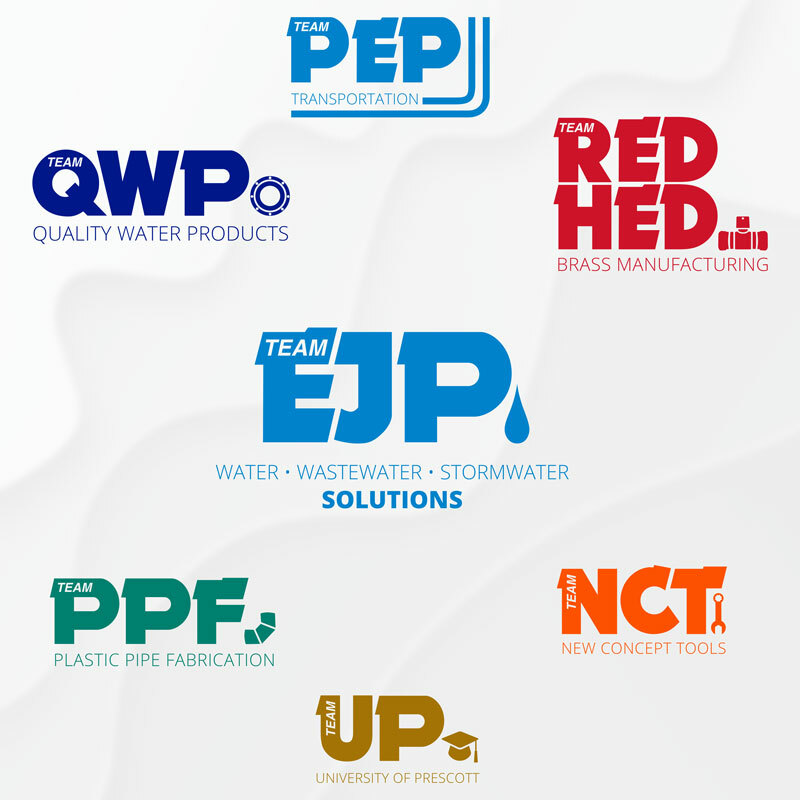 Team EJP was already a well-respected business in the waterworks sector. However, until the association between it and its sister companies was recognizable, none of the trust and recognition associated with EJP could transfer to these companies. This meant EJP was missing an opportunity to build business momentum for its other companies. 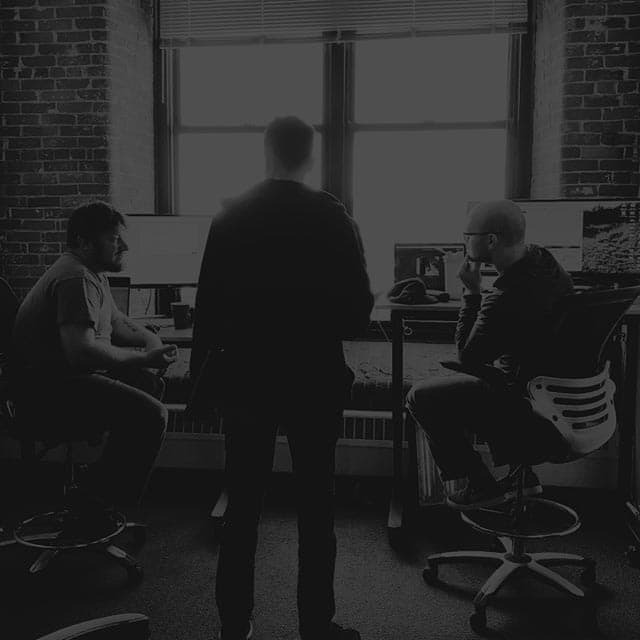 We knew their entire inbound marketing strategy would deliver more if we resolved this. The modern look and high quality of the EJP logo informed our recommendations for bringing the sister-company logos into harmony with the EJP brand. We suggested they simplify all the logos, so only the fonts used in the parent logo appear in the sister logos. These font choices became the unifying element in each sister-company logo. Now, instead of a mix of fonts, each logo depends on two font faces. In the new logos, a bold display font unites all of the business acronyms. We used the other sans serif font to either provide information about the business or to spell out the acronym. In this way the logos always have an acronym and text combination. This emphasizes visual cohesion between all the logos. Our second unifying element is the word 'TEAM.' It appears in the same italic all-caps format within the first letter of every sister company logo. We let the letter determine whether 'TEAM' appears horizontally or vertically. It's the 'word', not the angle, that harmonizes with 'Team' EJP. Team also emphasizes the compatibility between the different companies. They work together. They are a unit that offers benefits to customers with a range of water management needs. Finally, the main logo uses a drop of water as a graphic representation of what EJP does. The company became the first waterworks distributor north of Massachusetts in 1955, so water is their business. To harmonize each of the sister logos with the main logo, we used the position of the droplet as an inspiration for graphic placement in the sister logos. In some cases, we were able to use an element from the old logo. For example, the TEAM PEP logo included a great graphic concept-two lines representing a street and/or pipes. We kept this and replaced a portion of one of the lines with the service-transportation. It's a subtle use of the word to reflect one of their tractor trailers transporting pipes to locations in 48 states, Quebec and Ontario. In the remaining logos, we recommended adding graphics that were definitive. For example, the old PPF logo appeared to use a cross-section of a pipe. We replaced this with an elbow joint, an easier to recognize a plastic pipe fitting. This sends a stronger visual that plastic pipe fabrication is what this company is about. At the same time, the pipe cross section worked well with QWP-Quality Water Products, so we moved it to that logo. Red Hed Brass Manufacturing uses a brass 't,' while New Concept Tools nestles a wrench under the T. A graduation cap says University of Prescott even if no one reads 'University of Prescott' beneath the acronym. When Team EJP first approached us, they had multiple color versions of many of their logos. We suggested they choose a different color for each logo and use that color consistently. Only one of the sister logos is a color match for Team EJP - the rest use colors that complement the service. Red for Red Hed Brass Manufacturing. 'Red' is in the name. Orange for New Concept Tools. Orange is a common tool handle color. Green for Plastic Pipe Fabrication. Green is a common color used for water mains. Gold for University of Prescott. Gold complements the other colors and is used on seals adding authenticity to a certificate of graduation. Team EJP reports it's seen a steady stream of new business contacts and leads since we developed their inbound marketing strategy for them. While there's more to an inbound marketing plan than aligning logos, it helps business when a company's visual identity is united. When customers see Team EJP sister company logos beside the Team EJP logo, they no longer clash or look like advertisements for some other business. Instead, customers know that these are businesses they can trust to deliver the same quality and value that EJP offers. That's brought new business to sister companies from customers who already knew EJP. It's also bringing customers to Team EJP from its sister companies.